Since we are on the verge of "March Madness" I am going to take a "TV Timeout". 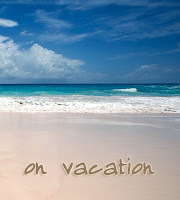 I am on vacation and I am flying south for a little R&R. The Tampa, Florida area to be specific. When I get back I might share a pic or two from the trip. Check back later next week (around March 7) for continuation of "New at Dis Hour". My kids call you John Dinosaur. I'm sorry, I just had to say that. They say, "that Dinosaur guy is on..."